This blog is Part 1 of a multi-part series, What do email-enabled applications look like in the modern workplace? 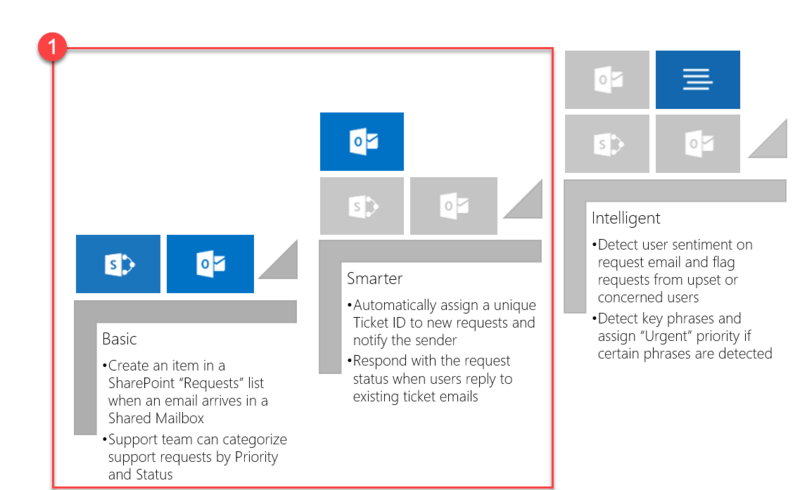 which examines how enterprise mail-enabled applications built on legacy platforms like Notes or SharePoint on-premises can be re-imagined in the Modern Workplace. 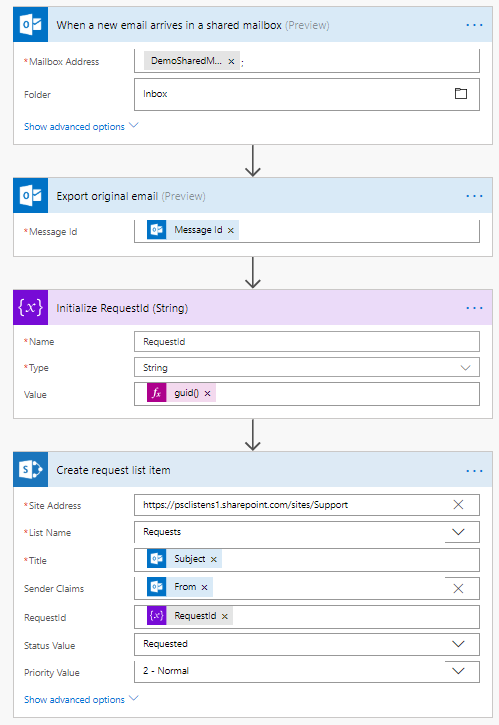 The goal of this series is to provide a blueprint for building a “Modern Workplace version” of a mail-enabled application on Microsoft Flow, beginning with a basic solution and gradually adding more intelligent features attainable only in the cloud. 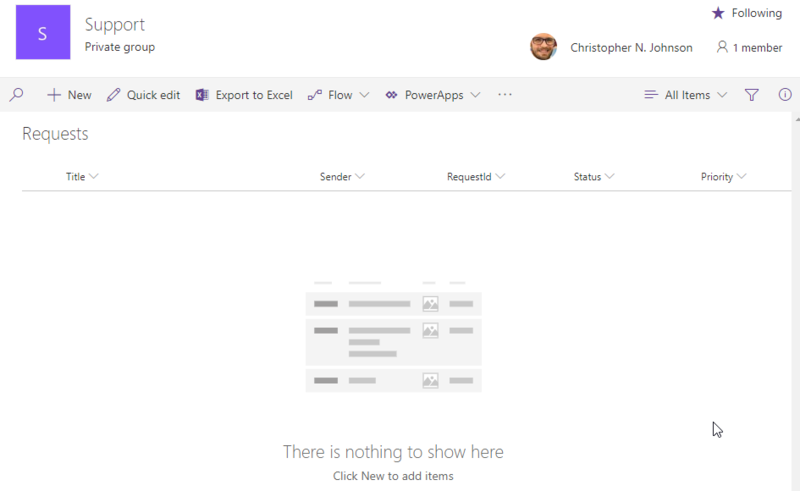 In this multi-part series, I try to answer that very question– beginning with a simple app built on SharePoint Online and Flow, then adding more integrations to further modernize the app until the email component is entirely optional. The goal of this series is to chart the path from “basic email-enabled application” to the Modern Workplace and possibly beyond. Part 1 covers the “Basic” steps below; Part 2 covers “Smarter”. We still need to have an answer for how to handle email-enabled applications, if only as a stopgap between legacy work streams and a true modern workplace. First, create a new flow. For now, you can just create a personal flow; a production version of this app would probably be built as a Business Process Flow or, at minimum, a shared flow. Next, add a new action and choose the “Export email (Preview)” action. Note that this action is in preview; it allow us to export the actual .eml file so we can attach it to the list item later.